The Future Automation PSE90 is designed for larger flat screen sizes 40" to 65" or with a maximum width of 1400 mm. The motorised mount provides a full 90 degree swivel action in either direction and comes complete with an IR remote control. 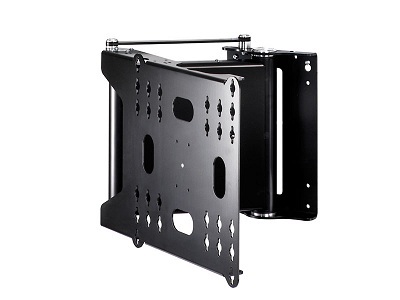 The FSE90 comes as standard with a maximum 400 x 400 vesa mounting plate and there are a range of universal mounting plates for larger screens up to 700 x 400. Sophisticated electronics allow for a favourite viewing position to be programmed via the IR remote control. Mechanism allows up to 750mm extension of screen centre from wall. All the power and signal cables for screen and mechanism can be concealed within the bracket. 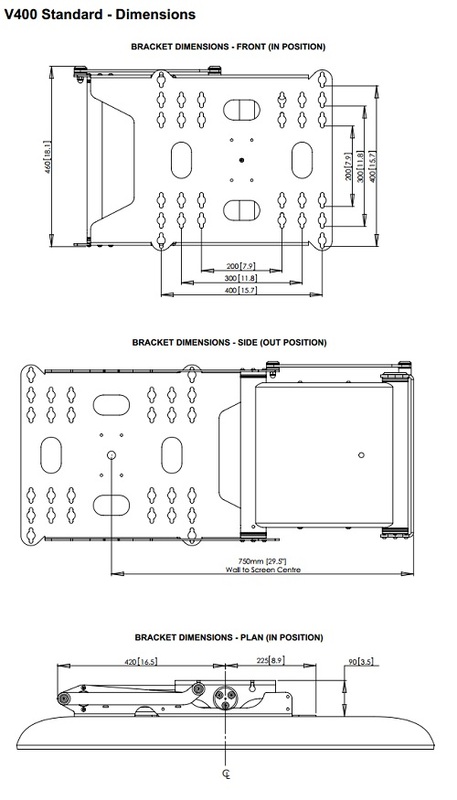 Mechanism can be reversed from a left to a right - handed or from a right to a left - handed bracket simply and quickly during the installation process. Super quiet and smooth action from parallel to wall out to 90 degree maximum movement. PSE90-A Universal Mount For Screen Sizes 37" to 52"
PSE90-UNI60 Universal Mount For Screen Sizes 52" to 65"
If you are unsure which mounting plate you may require please call one of our friendly sales team on 0800 669 6600 or email info@avinstalls.co.uk with the make and model of your TV. Screen Size Up to 42" - 75"
AV Installs Ltd provides professional installation services for this product for more information on our domestic home cinema installation services please call 0845 474 1476 or visit our installation pages. Thank you for giving me the opportunity to enjoy playing with this great product and also for your top quality service ! content">Ask us question online ?